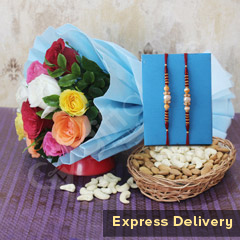 You must be baffled on how to send Rakhi to your dear brother, if you still have not been able to do that. 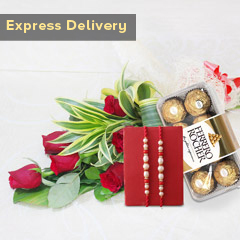 You don’t need to worry…..our exclusive express delivery services are designed to make it happen for you. 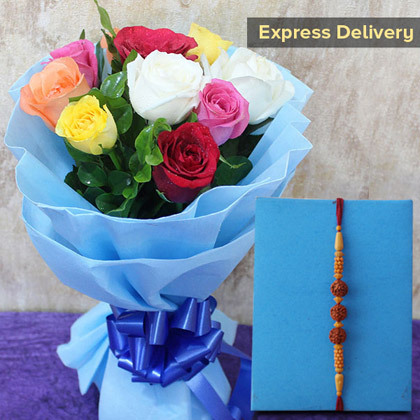 And, this wonderful combination of one beautiful Rakhi and a flower bouquet that is a perfect gift for the occasion. 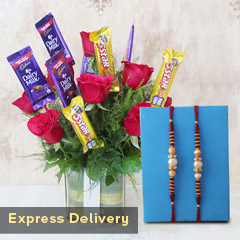 Don’t wait to place your order! !